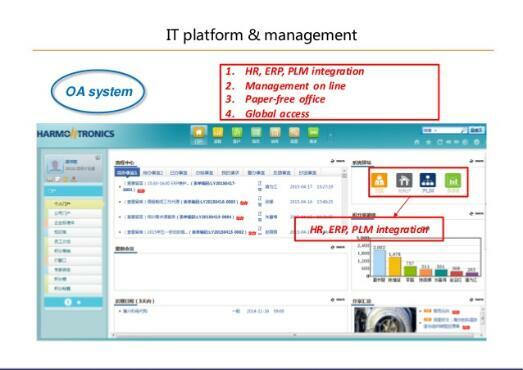 OA(office automation) System China, OA development China,OA technologies China. Office automation (OA) is the daily operation and management oriented to the organization. It is the most frequently used application system for employees and managers. Since the first office automation planning conference was held in China in 1985, OA has a new change and development in the depth and breadth of application content and IT technology use. It becomes a core application system for organization. 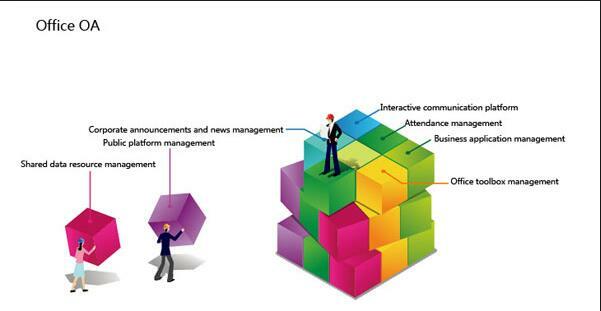 The main implementation model is a paperless office model. The .net + RDB-based office platform has gained a wide range of markets with its simplicity, flexibility and ease of use. .net is Microsoft's enterprise application development platform, the advantage is the large number of components, you can build a personalized application. However, due to the need for more professional development technology, and the system is not open, poor compatibility with platforms other than Microsoft, and the reasons for copyright, so in the majority of enterprises does not seem applicable, only a few foreign companies are willing to use this technology. JAVA (J2EE standard) takes the direction of technology development with its openness and platform independence. It has been widely applied and popularized in various application systems rapidly and has been continuously expanded in the field of OA. JAVA technology has the advantage of cross platform, security and stability, openness , especially the open nature of this feature makes JAVA comply with the development needs of the times, become the darling of OA software developers. As of 2014, the market mainstream OA software, 90 % Above using JAVA technology. Huatian Power OA software is the first company in the industry that needs to pay attention to the development of technology manufacturers, but this view was not initially recognized by the majority of users or even individual manufacturers. The market is objective, it will make the right choice according to actual needs, and as users become aware of the importance of software openness, extensibility and compatibility, JAVA will soon become the most important tool for enterprise management software development. Some of the original use of other technology vendors, have also joined the JAVA camp. If there is no timely transformation, it will be gradually eliminated by the market. .net / JAVA is more similar to 3GL tools, application functions need to achieve more development or integration, application maturity needs constant precipitation and accumulation. Domino is more like 4GL tools, providing industry-leading collaborative tools, enterprise-class document processing, document-level security control mechanism, a large number of application templates to make it more good at office applications, but in the face of a large number of structured business information processing time Obviously inadequate. IBM is the originator of OA software, so its Domino technology was also considered an orthodox platform for OA software more than a decade ago, with the advantages of excellent security and stability, and robust underlying architecture. But it has two fatal flaws, one is poorly open, it is difficult to integrate data with other management systems. Second, the technology is too complicated, and the implementation, maintenance and secondary development all need professional technicians to do it, resulting in the related costs being very high. These two flaws led to Domino technology is difficult to adapt to the needs of Chinese enterprises. OA realizes the business process and approval process according to the needs of the process automation platform. Good at business processes and approval process, the most emphasis on integration with third-party ERP work to achieve the goal of the enterprise approval flow and business flow all get through, and ultimately the formation of the reporting system, service decision-making. Currently Shanghai Suon software SUOOA China system has achieved a very "Duang" free version of the OA system, for all businesses. Tabpear software development projects include lightweight customizable office automation (OA) system, Invoicing management system, customer resource management system, logistics management system.